The phrase “hack your body” is often a catch-all term for suspect life advice, generally given by overly excited entrepreneurs and slimy motivational speakers. The new iPhone app GlassesOff could be called such a hack, but you should really think of it like a gym session for your eyes. Why would you want to work out your eyes? Simple, to help stave off the awful effects of age on your vision. GlassesOff wants to rid your face of reading glasses, and make it so you never have to put them on again. Now, if you don’t have to wear reading glasses right now, you may be tempted to stop reading. However, the eye sight deterioration which GlassesOff combats can hit at age 40, and the exercises can help slow down its effects. So pay attention anyway. The GlassesOff “hack” is a specially developed training program to give sad, aging brains a kick start, so reading smaller text becomes easier and less taxing to read. It’s not a gamble either, at least according to the University of California at Berkeley, which gave it a seal of approval in a recent study. There’s real science behind it, down to the imagery used in the training sessions. 1. Recommendations for using GlassesOff. 2. 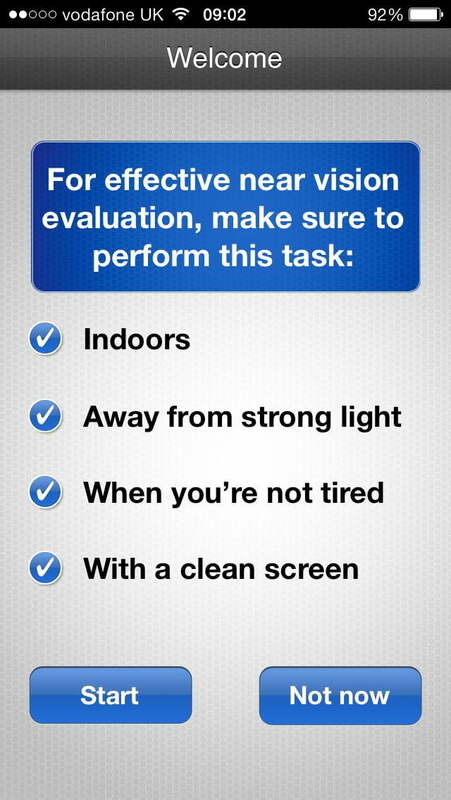 At the end of the evaluation, the app shows how it can help you improve. 3. An explanation of how the app measures progress. These sessions are little visual recognition games. In the first set, you have to tap the direction the letter E faces when it appears. The trick is, the letter gets smaller and shows up for a shorter time as the test progresses. To confuse the eyes, it’s buried in the center of many letter Es. When this exercise is complete, the E is isolated and is shown getting lighter and lighter. With these out of the way, the third challenge involves something called a Gabor patch, which shows blurry lines against a contrasting background. 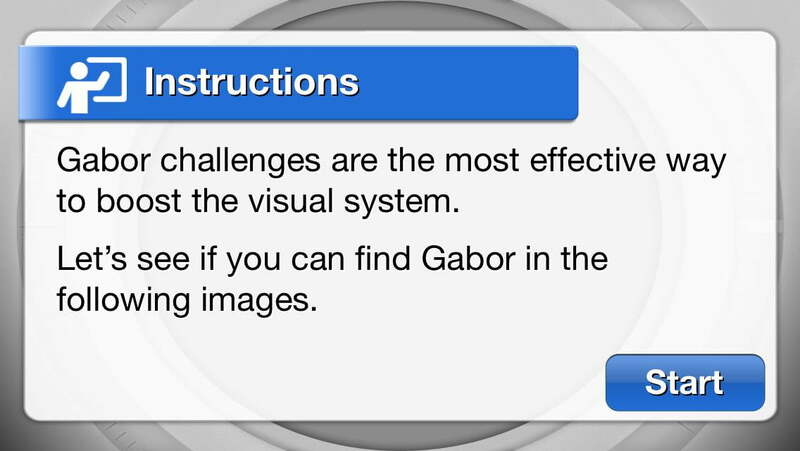 You tap a Yes or No button depending on whether you see the Gabor patch on screen or not. Written down the tests sound very easy, but they’re not at all. Working through these exercises takes about 15 minutes, and it’s recommended you do them three times a week for three months. The app will send you notifications when it’s time for your next session. Complete the entire program, and GlassesOff says it’ll take just over eight years off your “eye age,” and enable you to read without glasses or a magnifying glass. 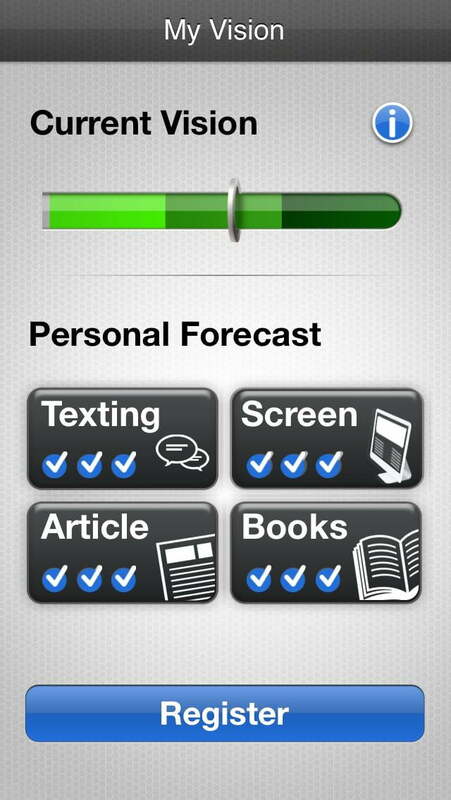 Right at the start, the app will evaluate if it’ll be of any use, so in theory you won’t be wasting your time. 1. 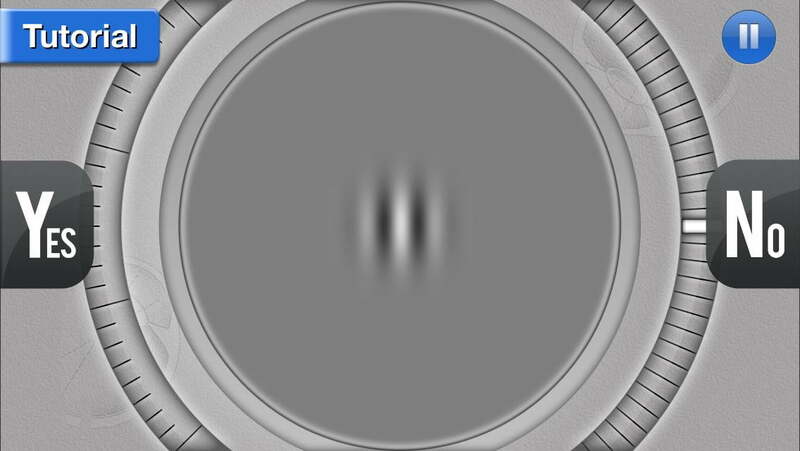 A GlassesOff test showing the Gabor patch. 2. GlassesOff uses the Gabor patch to improve vision. Although GlassesOff has only just hit the App Store, the idea has been around for some time, with reports circulating at the end of 2011 on its then supposedly imminent arrival. It wasn’t until mid-2013 that development seemed to restart, following a company acquisition. The science is convincing, and not just for those who have trouble reading small print already. The New Scientist quoted an ophthalmologist who said the program could potentially delay the need to wear reading glasses, so it could be worth a try even if you’re not the target audience. However, it’s going to cost you both time and money. The training sessions are time consuming, although they are surprisingly fun. The thought of doing them three times a week for several months isn’t, though. 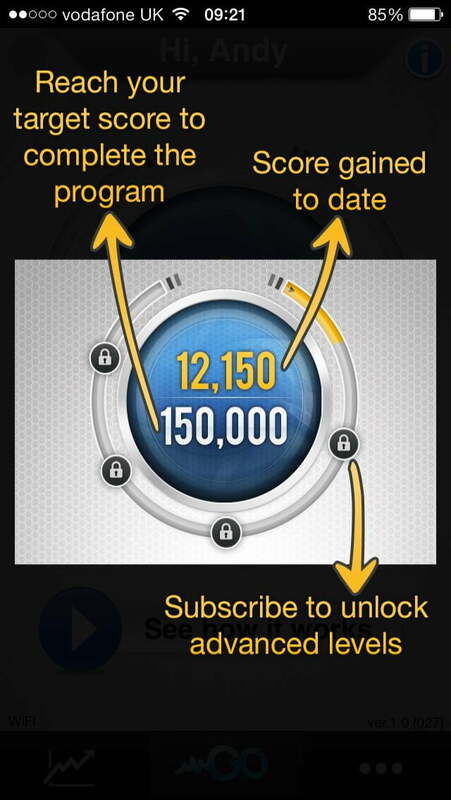 The app is free to download, and comes with the first two weeks of training sessions. Once your time is up, it’ll cost $10 to continue, but only for a limited time, after which the price increases to $60. Yep, $60, or about 60x the price most are willing to spend on an iPhone app. The argument is this is less than eye surgery and the price of most reading glasses. It doesn’t stop there either. GlassesOff recommends an ongoing care plan at $7 per month, or an unlimited pass for $150, just to make sure your brain stays trained. We love the idea of an app which can retrain our body to overcome the natural (devastating) effects of aging, and understand these things take time and effort to develop, particularly ones with actual science behind them. As someone who wears glasses, and is closer to the target age than they want to admit, it’s the continued usage of GlassesOff – or more accurately, finding the motivation to use it repeatedly – that would put me off paying for it, mainly because the benefits won’t be that apparent during the two week trial. However, if you find it easy to commit to this type of program, and want to improve (or stave off) a decline in eyesight, then GlassesOff is a modern, completely non-invasive, and very convenient option. You can download it for free from the iTunes App Store right now, and an Android app is on its way soon. Download GlassesOff from the iPhone App Store here.